Lightweight and natural looking, the stretchy Shift Wool Hoodie is an ideal four-season first layer, maximizing the benefits of wool and synthetic fibers. The perfect insulating layer that will quickly become the piece you compare all else against, our Shift Wool Hoodie features a lightweight Italian made poly-wool blend, with the silky synthetic side providing next-to-skin comfort, and uber-breathable wool outer, fully maximizing the benefits of synthetic and natural fibers. 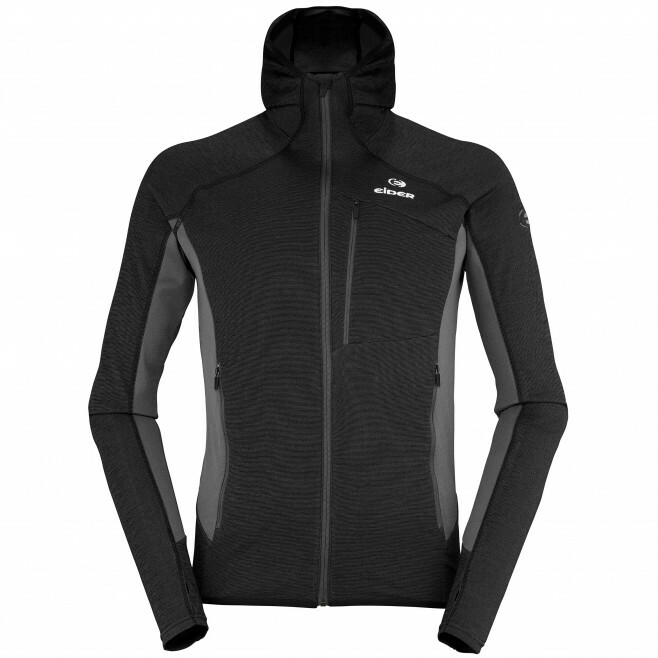 Alpine fit and flatlock stitching make it a great first layer for any cold weather activities, from skiing to alpine climbing, while full front zip and zippered pockets make it an ideal jacket during the warmer months.